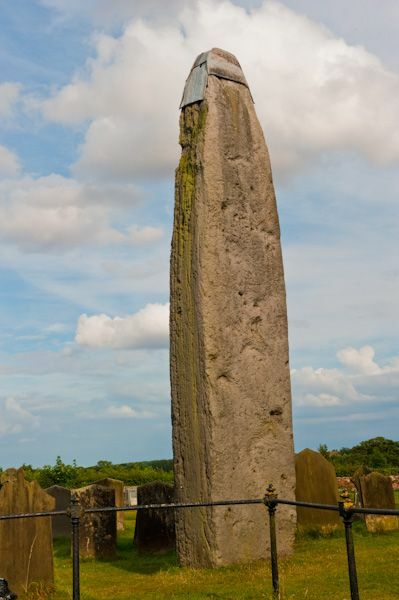 It is rather mystifying that the Rudston Monolith is not better known; this stunning slender pillar is the tallest standing stone in Britain. 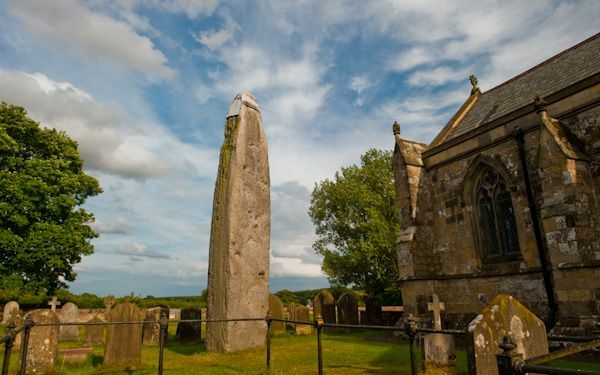 The Monolith is set in the ground at the north-east corner of Rudston's parish church. 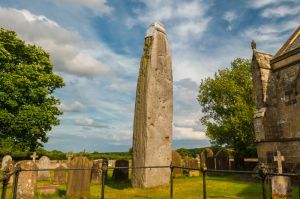 The stone is about 26 feet in height above ground, and extends underground an unknown amount, possibly over 15 feet deep, which would make the stone a staggering 40 feet plus in length. 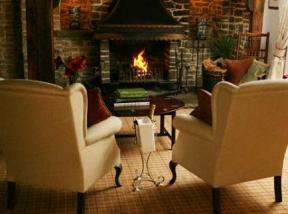 The stone is made of rough conglomerate moorstone grit, quarried and shaped in the Cleveland Hills, west of Whitby. It must have been transported by river (probably via the Rye or Derwent) and then hauled laboriously up to Rudston on wooden rollers. The size and hardship of the undertaking suggests that it was a matter of extreme importance to the architects of the monolith, and must have involved a large force of people. 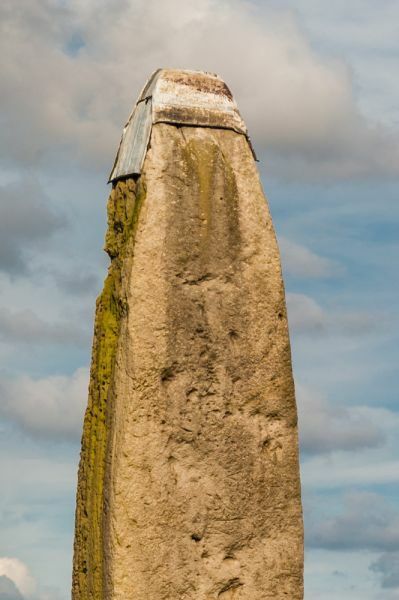 The monolith was set up in the Neolithic period, probably about 2000 BCE. 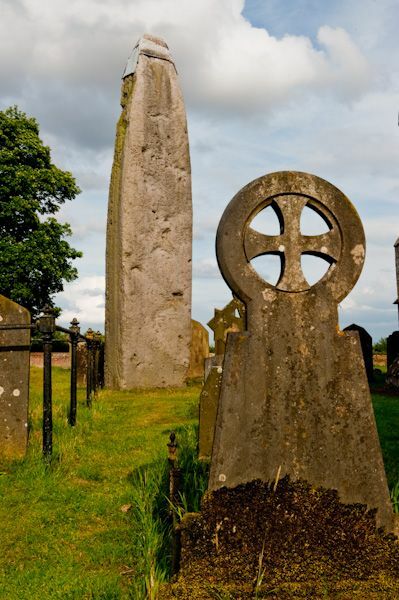 So it predated the church at Rudston by over 2500 years, meaning that the Christian church builders deliberately chose this site to associate their religious centre with a long established location of some significance. 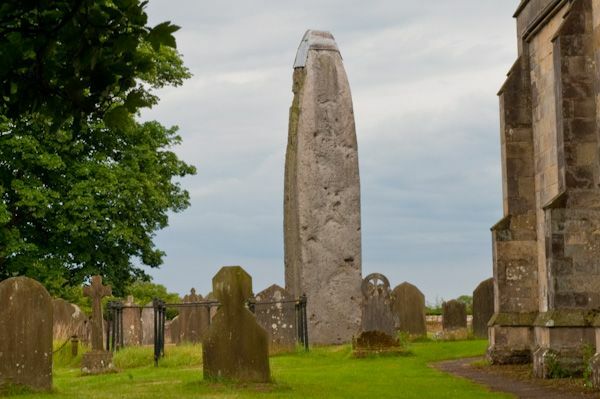 The monolith is signposted off the B1253 road through Rudston village. Location: In the churchyard of All Saints church in Rudston. Well signposted.